In 1934, a year after Hitler’s accession to power, the exiled German painter established his Hans Hofmann School of Fine Arts, on Fifty-seventh Street. 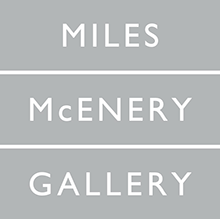 It went on to become the clearinghouse of the first internationally successful generation of American painters. In the five succulent early works here, painted in Provincetown and predating Hofmann’s more familiar paintings of solid blocks of color, you can see him infusing his European inheritance (specifically, the jarring non-local color of Fauvism) with American verve. 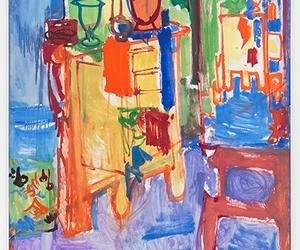 A studio interior, from 1936, has the bright blues and violets of Matisse, but the orange pigment of a chest of drawers bleeds past its contours, onto the wall and the floor, prefiguring a combustible abstraction of 1944, whose uncontainable splatters offered a new model of creation.